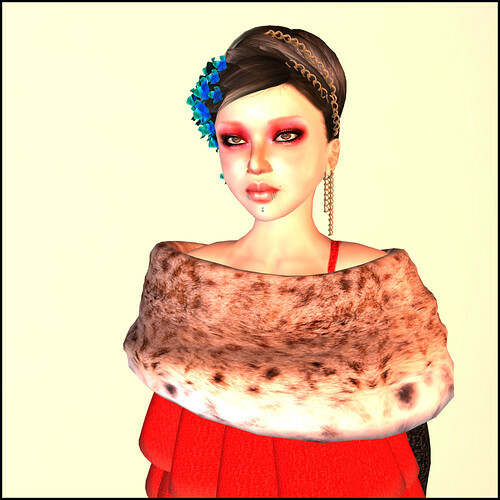 Minajunk has returned from a long, thoughtful silence with five "complete avatars." This means that she's given us a package that includes everything; shape, skin, hair, eyes, clothing, shoes, jewelry. None of it is modifiable, all of it is meant to be worn as a piece. 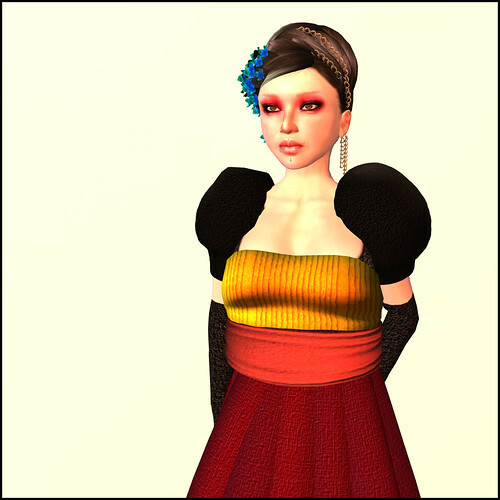 Abra Exonar has posted a lovely review of these clothes as they're meant to be worn with Minajunk's shape, etc. over here. The skins are also sold separately, and Gogolita has posted about them over here. So what can I add to these comprehensive posts about Minajunk? I'm kind of rebellious; given a set of no-mod clothes and hair, of course I've got to see how I can mix it up. I'm wearing my own shape, and I've put these outfits together from parts of all five of the complete avatars. It kind of works! The colors, shapes, and motifs (such as the violets) are so lovely that they flow no matter how the outfit is put together. I do wish there was a bit more flexibility with fit so that everything could work with my own shape, but perhaps Mina Jun will make it possible in the next line. These avatars are found at Minajunk in Japan!